In November the lights are shining bright as DC prepares to head into family crossovers like the highly-hailed Trinity War. 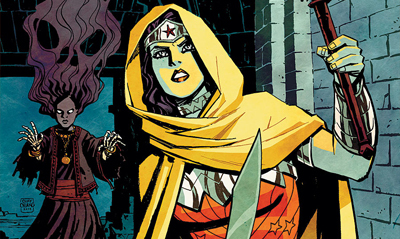 While Green Arrow and Hawkman have their own meet-up, in November Wonder Woman will still be one of the month's best books. 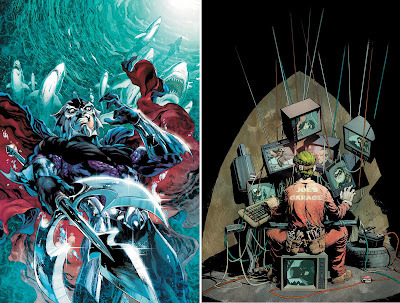 Bias aside, the best three covers from the rest of DC's November 2012 solicitations, look something like this. Reaching out for the viewer's aid is a tried and tested comic cover technique, and you can see why when it's rendered as well as Scott Clark does it here! DC says: Rise of the Third Army continues! 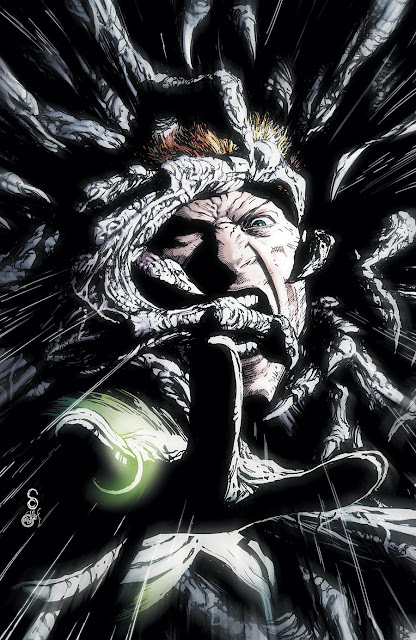 Guy Gardner's life is ruined! The Guardians aim to take John Stewart out of the looming conflict, no matter the cost! Ivan Reis - Aquaman #14 With Black Manta revamped, Ocen Master steps forward for his turn in the spotlight - just check out those sharks! Greg Capullo - Batman #14 See how haunting Joker can be when you don't see his face. Just the thought he has cameras all over Gotham and is sitting on Batman gives you the chills. Well at least he doesn't have to suffer infomercials. What do you think? Sound off below. For November 2012 solicits from other publishers as they're released click here, or for DC's full November line-up, follow the jump! Man Reis, Prado......this is enough to make you have a complex. I had a good bad dream one time. I was so far underwater in the company of dangers sea creatures. Waters swirling and some how the sun penetrated the depths. I couldn't see my own uniform but I believe this was it. If Aquaman doesn't win book of the year someone should be prosecuted. OA - I think you hit the nail on the head there. I mean who is laughing at Aquaman's rouges now? As for dreams, I can imaging that one would be pretty terrifying - especially if surrounded by as many sharks as Ocean Master is here! I want to help Guy!